Exciting new promos this September! Kick-start the fall season on a bright note with our exciting promotional offers on domains! Use these promos to boost your sales profits this month. What Promos are available this month? .BIZ: This is the perfect 3-letter TLD that is dedicated to provide all big and small businesses their own professional identity in the internet space. So if your customers are looking at creating a memorable identity for their business over the internet, this TLD works best for them. .SHOP: This TLD is used for everything related to shopping. If your customers are looking at selling products or services online, .SHOP is a perfect fit for them. This TLD is short and memorable and can be understood in various languages and cultures around the world. Donuts acquires Rightside: Donuts Inc., a leading domain name registry for new gTLDs and Rightside registry announced their merger on June 14th, 2017. The two companies have a long history of conducting business together and have finally taken the plunge and combined their forces. The merger agreement is valued at $213 Million approximately for the entire business. This deal will add 40 new gTLDs to Donuts’ existing portfolio of 200 gTLDs – the largest in the industry. Furthermore, it will also include the transfer of the popular retail domain registrar – Name.com. It will be interesting to see how this partnership will affect the current market situation. Vodien advances growth with Dreamscape Networks: Australia’s leading domains & hosting provider, Dreamscape Networks was looking at expanding their business in the South-East Asia region. What better way to kickstart this thought process than by acquiring Singapore’s largest hosting company – Vodien Group! Vodien Internet Solutions is a web hosting provider in Asia that provides reliable and high-tech performance hosting solutions to over 35,000 companies and 2,10,000 users.This merger looked like the ideal deal to expand their business in Singapore without having to establish their own hub there. This merger would help both the companies offer their existing customers add-on high-value products and services. The agreement is valued at 29.67 million AUD to wholly acquire Voiden Group. Rackspace seals the deal with TriCore: Rackspace closed its acquisition with Tricore in June. Rackspace called this their largest acquisition as compared to the 8 closures they’ve had before. This merger will give Rackspace the ability to not only manage a company’s cloud services but also provide expertise in enterprise app management, especially EPR management. A large number of companies around the globe have been crippled by the recent cyber attacks. Here’s a look at the major cyber attacks that made news in June. Petya Ransomware: A large scale ransomware attack is rapidly spreading around the globe affecting telecoms, banks and other businesses. The attack caused computers to stop functioning, leaving a ransom note demanding $300 in bitcoins. The attack infected 2,000 systems and servers approximately and was spread across the UK, US, France, Germany, Russia. Ukraine has emerged as the epicenter of the damage during this cyber attack, affecting its Central bank, airport and the Chernobyl power plant. Cyber attack on UK Parliament: The UK parliament has been the target of a cyber attack resulting in gaining access to few email accounts of Member of Parliaments and their staffers, leaving them unable to access their emails. WannaCry Attack: WannaCry or WannaCrypt is a ransomware attack that holds a computer’s files hostage in exchange for bitcoins. This cyber attack took place in May 2017 and affected a number of countries around the globe, demanding $300 in bitcoins to regain access to the files. U.K. security services, as well as the U.S. National Security Agency, have suspected North Korea to be responsible for this cyber attack. Kobe and Montréal Declared as Meeting Sites for ICANN 2019: ICANN’s 64th Public Meeting will be held in Kobe, Japan for the Asia-Pacific region. The meeting will be hosted by the Japan Network Information Center from March 9 – 14, 2019. Montréal, Canada has been picked to host ICANN’s 66th Public Meeting for the North American region. The total annual value of the African Domain Name market is $52 million approximately. There is potential growth in the African domain name market in the future. Global Indigenous Ambassador Program: ICANN announced the Global Indigenous Ambassador Program on June 14, 2017. This program states that two indigenous ambassadors will be selected from underrepresented communities. This initiative will help ICANN to be more efficient with the next generation of the global internet community. This program is targeted towards served and unserved tribal or native communities and must meet the ICANN Fellowship Program Criteria. DENIC eG approved as New gTLD Data Escrow Agent: Denic – the managing organization of Germany’s ccTLD, has been approved to provide data escrow services to new gTLD registry operators. .INFO Registry Price Hike: Effective July 1, 2017, the .INFO Registry increased the prices of .INFO domain registrations, renewals and transfers by $0.89. .AFRICA Domain Name Registrations: The highly demanded new gTLD – .AFRICA, closed its Sunrise period on June 2, 2017. According to the reports, over 930 domain names have been registered during this phase. This TLD is currently in the General Availability phase and is open to everyone to apply for. These are some of the important events that made news in the month of June. To stay updated with the key happenings from the industry, watch this space for our next bulletin. It’s Raining Promos This July! July is here in full swing and we’ve got a bunch of exciting domain name promos which won’t burn a hole in your resellers’/customers’ pockets! For the whole of July, you can offer your customers over 40 fun & attractive TLDs at heavily discounted prices. Even though .COM & .NET continue to be the most sought after TLDs among the masses, new gTLDs are steadily making their way through. Who Can Use These TLDs? – Are your customers looking at adding a personal touch to their blogs, businesses or websites? .ME domain is the perfect choice to help them carve their own memorable identity on the internet. It’s short, easy to remember and versatile. – This TLD is perfect for fashion enthusiasts who are looking to showcase their fashion skills or those who have the passion for all the latest trends that are ruling the fashion industry. Right from online boutiques to fashion bloggers, this domain is just the right pick. – The .GARDEN domain namespace is a designated platform for professional gardeners, landscape architects and urban designers. Offer this niche TLD to your customers who are looking at starting up their business in this profession. Hurry! – .COLLEGE is a non-restricted TLD, apt for all colleges, schools, universities or for institutes associated with knowledge. Apart from the obvious option, it also makes for an interesting TLD choice for campus-friendly businesses such as cafés, bookstores and stationary shops. *.Store – Promo begins 8th July. View our entire list of domain name promos here. We hope you make the most of these promos. Happy selling! newgTLDs.icann.org is ICANN’s new micro-site dedicated to new gTLDs. According to ICANN, this new website is designed to provide quick and easy access to all aspects of the new gTLD process. With the new website, ICANN has also released the latest draft of the Applicant Guidebook. You can view this document here. All the changes made since the last version of the Guidebook can be found in this pdf document. 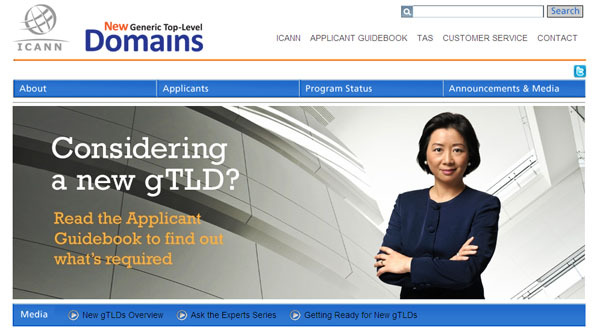 It’s great to see ICANN making the path to new gTLDs even more clear! Singapore was the stage for one of ICANN’s most historic decisions. The new gTLD program was unanimously approved by the ICANN Board with a vote of 13 to 1 with 2 abstentions at its 41st International Meeting. The decision brings a successful end to years of discussions and deliberations between people and organizations that belong to the community. The new gTLD program has faced criticism from various institutions and governments over the years. While concessions have been made for most of the volatile parts of this program, there are a few concerns that still need to be addressed. Nevertheless, as of now, this new program is most certainly a progressive next step. Whether we’re moving forward or backward, only time will tell. Additionally, Michele Neylon’s article on CircleID covers the impact of new gTLDs on Registrars quite well.